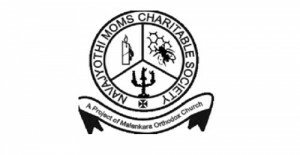 St. Mary's Womens Association (Martha Mariam Samajam) is the Womens' Association of the Indian Orthodox Church. In the St. Thomas Indian Orthodox Church, Sydne, the Martha Mariam Vanitha Samajam started in 1999 under the guidance of our priest Rev. Fr. Thomas Varghese. It is a vibrant association of the women and depends on the intercession of Holy and Ever Virgin Saint Mary, the Mother of our Lord. The motto of the Samajam is to Pray, Act and Shine. The ladies of the church conduct their meetings after Holy Qurbana on two alternate Sundays of the month.. The meetings start with prayers and bible reading. The group then discuses a topic of interest ranging from bible study to health and parental issues. The primary goal of the Samajam is the spiritual development of the women in our church. The above activities are only a part of the process to reach spiritual fulfillment in our daily life. All women are welcome to participate in the activities of the samajam.